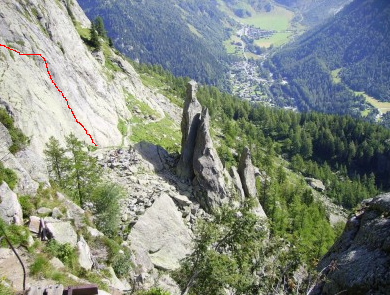 Le Fee des Druide is a 4 pitch rock climb situated on the slab wall directly behind the Aiguilette d’argentiere, 45 minutes walk from the Col des Montets. 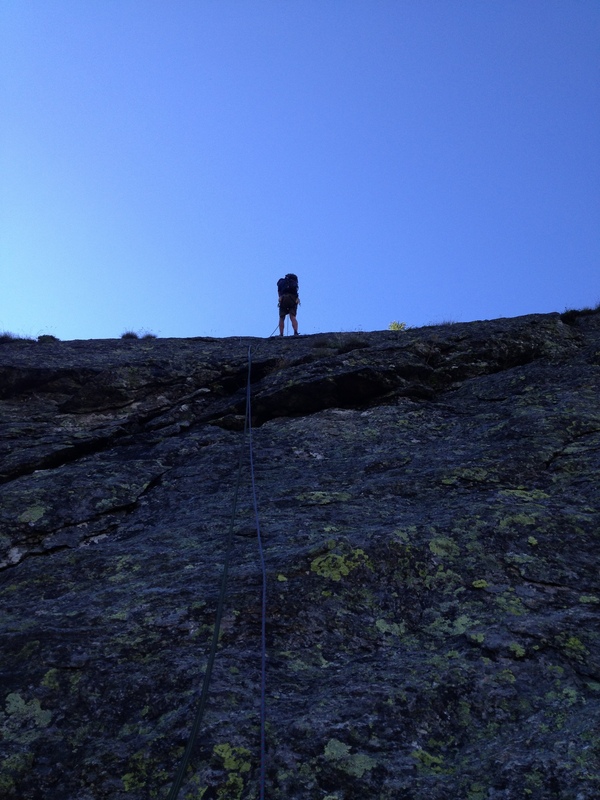 It is mostly easy climbing around 5a/b with the first pitch being 5c. Stef and I had attempted this route a couple of weeks ago and had to bail with a crab in a bolt as we didn’t have enough rope for the abails. Surprisingly my crab was still there when we went back! Me on the first pitch. 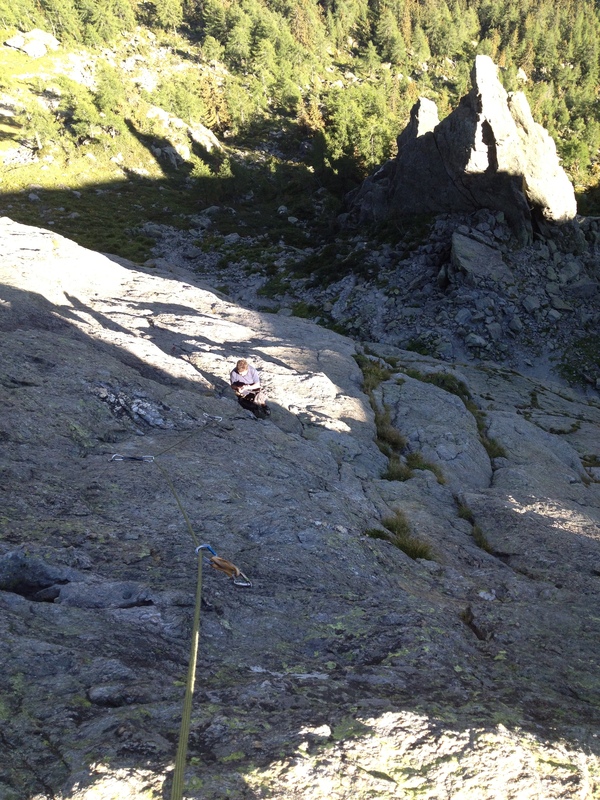 Looking back down towards the Aiguillette and Stef on the second pitch. 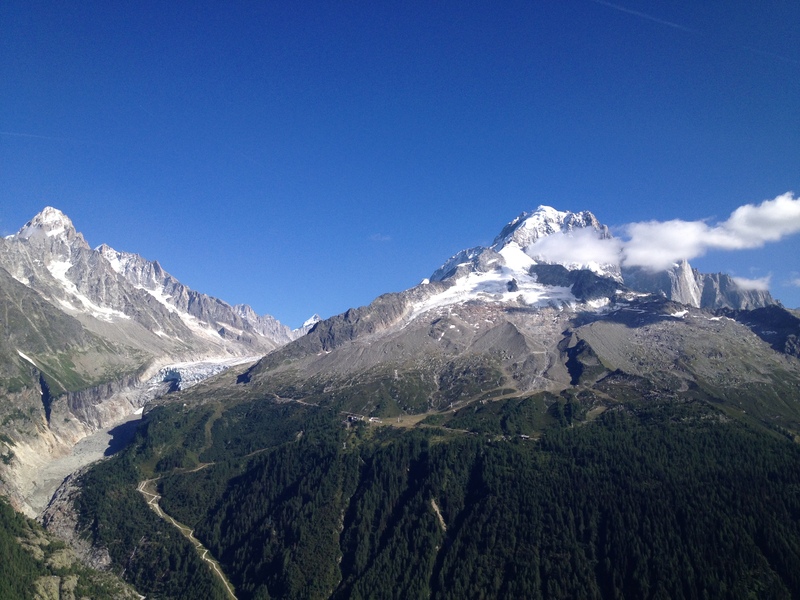 Some amazing views on offer throughout the route. After the tricky first pitch you are on mostly mellow slab with a lot of smearing and relying on the grip on your climbing shoes! 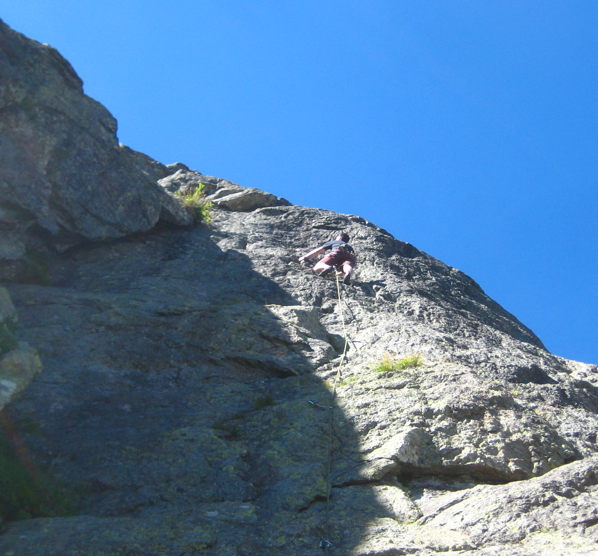 It is fun climbing and it never feels easy as there is generally not much to hold on to. To return to the bottom there are 4 rappels that go straight down to the left hand side of the climb. We used a 50m tag line so that we didn’t have to carry an extra 50m single rope. The first rappel was over a small lip and the tag became stuck so it was my first go at tib locking back up a 50m rope, after freeing it it was back down to continue with the other 3 rappels. Stef on the 1st rappel, before the rope became stuck! This route is a great starter for multi pitch climbing you just need to make sure that you are comfortable setting up multiple rappels, if I did it again I would take two light 50m twin or double ropes and just put up with the extra weight on the walk in and out! Photo’s from iPhone so not great quality sorry.